Halo Vintage Engraved Engagement Ring with Pave-Setting in Platinum | Shane Co. Bold and beautiful, this vintage inspired halo ring features 34 round pavé-set diamonds, at approximately .80 carat total weight set in superior quality platinum. 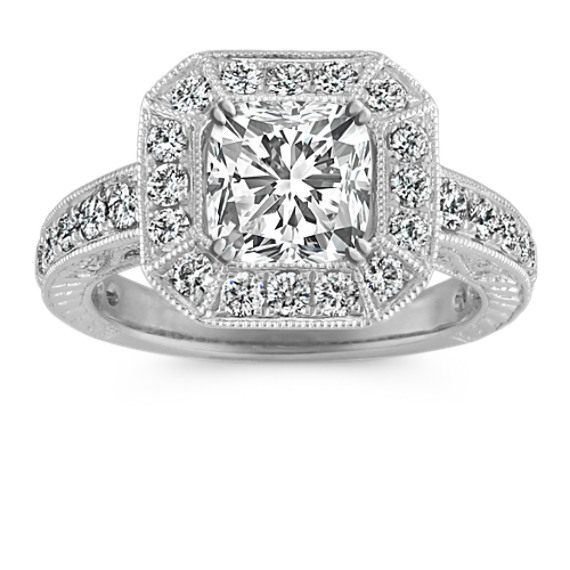 This ring is made to hold a center stone at approximately 1.25 carat.